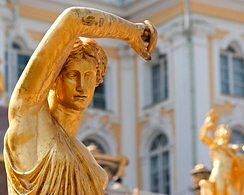 One of the world's most beautiful cities, St. Petersburg has all the ingredients for an unforgettable travel experience: high art, lavish architecture, wild nightlife, an extraordinary history and rich cultural traditions that have inspired and nurtured some of the modern world's greatest literature, music, and visual art. 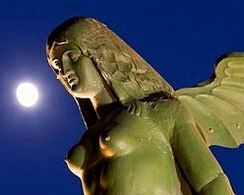 From the mysterious twilight of the White Nights to world-beating opera and ballet productions on magical winter evenings, St. Petersburg charms and entices in every season. 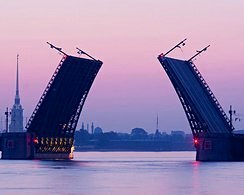 Saint-Petersburg.Com is here to help you navigate every aspect of this fascinating city, with all the information and travel resources necessary to plan your trip to St. Petersburg. Our editors and travel writers have pooled their own and our users' ideas and impressions to compile the 20 best visitor attractions and travel experiences in St. Petersburg. Use our St. Petersburg Top 20 to plan your trip and get the most out of this remarkable city. 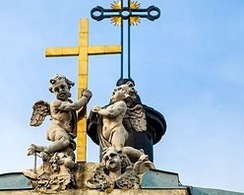 A collection of themed walking tours composed by experienced tour guides and other travel enthusiasts. Our St. Petersburg walking tours will take you step-by-step around the city and help you to dig deeper into the history and culture of the streets. 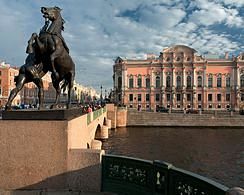 One of the world's most famous museums, the Hermitage is an unmissable attraction on any St. Petersburg itinerary, with highlights including the superb collection of impressionist and post-impressionist art, as well as the incomparably ornate state rooms of the Winter Palace. 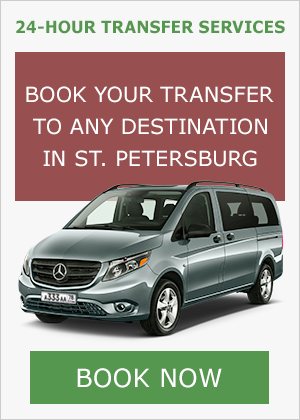 To ensure your arrival in St. Petersburg is as comfortable and convenient as possible, with an English-speaking driver to meet you on arrival and help with your luggage at the airport or railway station, book a transfer with one of our recommended partners. 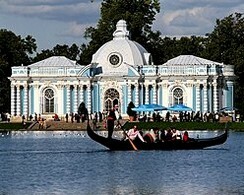 Among St. Petersburg's greatest visitor attractions are the incredible Imperial parks and palaces in the suburbs of the city. 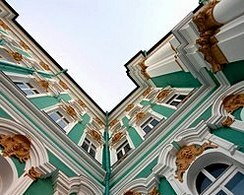 Built for generations of Romanovs, these extravagant and extraordinary estates reflect the individual tastes of each of Russia's remarkable rulers. 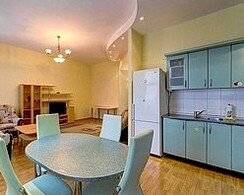 Short-term apartment rentals offer some of the best-value accommodation in St. Petersburg's historic centre, especially for guests planning longer stays in the city. Search our apartment database and book holiday apartments online from trusted landlords and agencies. 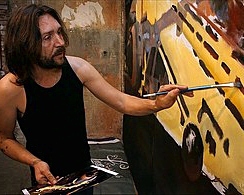 Southern Europeans will feel at home in St. Petersburg despite the winter cold, thanks to the immense contribution to the city's artistic and cultural heritage made by Italian musicians, painters and, most importantly, architects, who designed many of St. Petersburg's most famous landmarks. Running straight through the heart of St. Petersburg from the Admiralty to the Alexander Nevsky Monastery, Nevsky Prospekt is one of the world's grandest avenues, lined with historic landmarks and magnificent architecture, and pulsing with activity at all hours day and night. 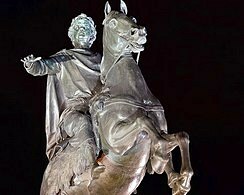 It was the sheer force of will of St. Petersburg's founder, the first Emperor of Russia, that in two decades saw the development of a thriving modern city where before there had been only marshland, and this was far from the only incredible achievement of Peter's 40-year reign. 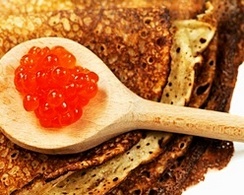 Sample all the delights of traditional Russian cuisine, from doughy pies and meaty soups to blini with caviar and the best Beef Stroganoff in town. Our guide to St. Petersburg's best Russian restaurants includes atmospheric fine-dining restaurants and popular low-cost cafes. Despite its short history, St. Petersburg can boast a wealth of magnificent church architecture, from the soaring golden spire of the Baroque Ss. Peter and Paul Cathedral to the unmistakable multifaceted onion domes of the Church on the Spilled Blood. 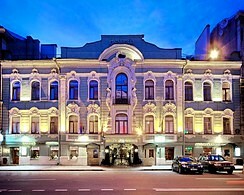 Arguably St. Petersburg's most famous historic hotel, the Hotel Astoria was opened at the height of St. Petersburg's pre-Revolutionary prosperity in December 1912, its sumptuous Art Nouveau interiors epitomizing the cosmopolitan sophistication of the age. 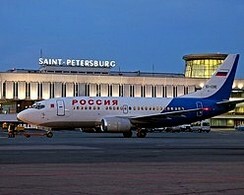 Traveling to St. Petersburg with a young family? 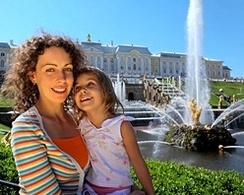 Find the St. Petersburg hotels with childcare services and other facilities for small children, as well as sympathetic staff and management, that our editors recommend to ensure a warm welcome for travelers of all ages. 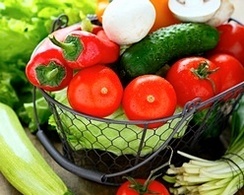 St. Petersburg's historic city markets are among the best places in town to get high-quality fresh meat, fruit and vegetable. 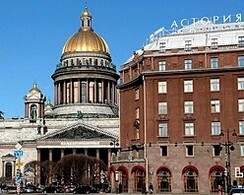 As well as providing some uniquely Eastern atmosphere under St. Petersburg's wide northern skies, some of St. Petersburg's markets are also landmark buildings. 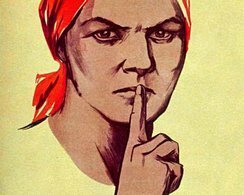 This absorbing collection, housed in a beautiful Art Nouveau mansion on the Petrograd Side, offers a clinical dissection of the accoutrements of Soviet ideology and propaganda, as well as earlier historical artifacts stretching back to the reign of Catherine the Great. A boat trip along the rivers and canals of St. Petersburg is one of the best ways to explore the city, especially during the magical White Nights. 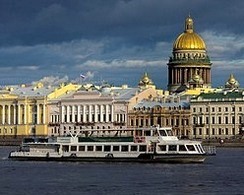 Find the most popular boat routes and recommended carriers in our guide to boat trips and river cruises in St. Petersburg. 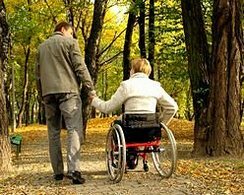 Traveling in St. Petersburg can be a challenge for the mobility impaired, but facilities are improving all the time. With a little forward planning and the assistance of our expert travel advisers, many wonders of St. Petersburg can be accessible to all travelers. An original artwork by a local artist can be one of the most satisfying and unusual souvenirs or gifts to take home from St. Petersburg. Our guide to the city's commercial art galleries will help you find the best places in St. Petersburg to buy paintings, photography and sculpture. Combine your visit to St. Petersburg with a trip to the Russian capital, with its rich history, spectacular eclectic architecture, and buzzing urban atmosphere. 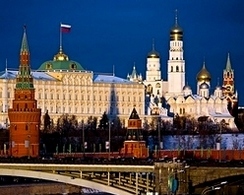 Our sister site will help you with all your Moscow travel needs, with comprehensive city guide and value travel services. 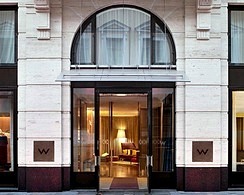 One of very few 5-star hotels in St. Petersburg to eschew historic styling for contemporary design and comfort, the W St. Petersburg has a superb location opposite St. Isaac's Cathedral and boasts stunning interiors, state-of-the-art amenities and spectacular views. 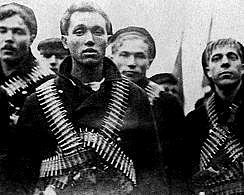 Known as "the cradle of the Revolution", St. Petersburg was the centre of the events of 1917-1918 that saw the establishment of the Bolshevik State. Discover how the city was affected by the ten days that shook the world, the ensuing chaos, and the eventual establishment of the new regime. This magnificent statue of Peter the Great, commissioned by Catherine the Great and sculpted by Etienne Maurice Falconet over a 14-year period, is perhaps St. Petersburg's most recognizable landmark, and the inspiration for one of Alexander Pushkin's most famous poems. 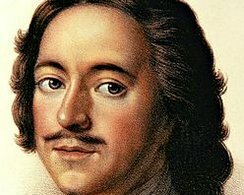 Biographies of the most famous of residents of St. Petersburg from throughout the three centuries of the city's existence. 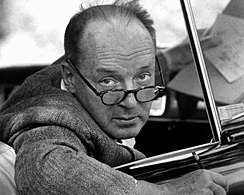 Learn more about the writers, artists, statesman and scientists whose lives were molded by St. Petersburg, and who in turn shaped the city's culture and history. A small hotel in a beautiful historic building on central Ulitsa Marata, the Helvetia has a long-standing reputation for providing comfortable accommodation and superior services with a Swiss flavor. Among the hotel's considerable attractions are its cozy restaurant and pub.